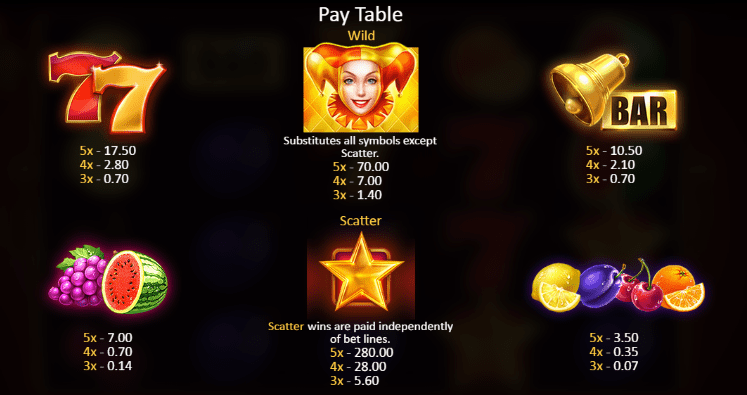 The latest release by Malta-based developers Playson, 100 Joker Staxx, is part of their highly successful Timeless Fruit Slots campaign. This classic on line casino slots machine provides an authentic casino experience, incorporating traditional design with clear and engaging gameplay. The characteristic fruit symbols are easily recognisable, complemented by a luxurious burgundy background that adds an air of sophistication to the game. With multiple options to win cash rewards, this online slot game offers an enjoyable gaming experience. Based in Malta, game developers Playson have 250 members of staff across the world. The company’s slogan, ‘unique gaming solutions’, embodies their goal to create thought-provoking and cutting-edge video slots game UK. Playson uses the latest technology, combined with advanced high definition graphics to create an immersive gaming experience. Crystal Crush – an innovative kaleidoscope-type slot game. Book of Gold: Double Chance – travel to Ancient Egypt to try your luck on this casino game. Legend of Cleopatra – Are you brave enough to take on the terrifying pharaoh? Claws vs Paws – A protective pooch vs a clever cat in this modern slot game. The company currently boasts over forty games with more in the pipeline. This online casino game embodies the classic fruit machine experience, combining simplicity with a class to create a visually appealing experience. The game opens with the cheerful and youthful face of the joker, complete with a yellow and red hat and sparkling blue eyes that invite you to try your luck on the reels. 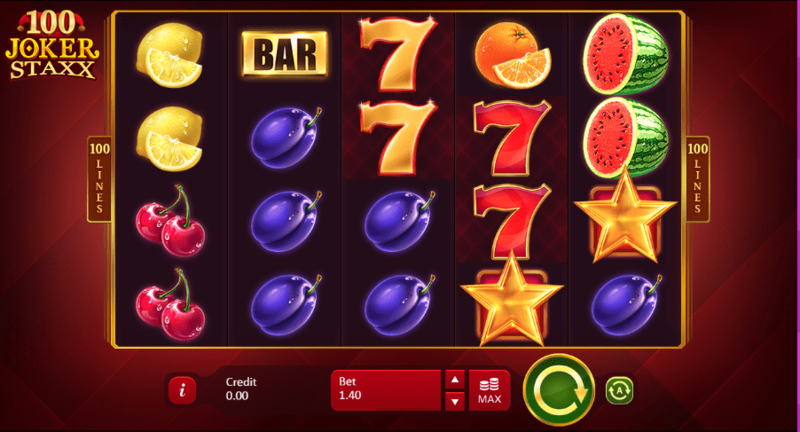 Enjoy various fruits as you play UKs best slots today! The player is then able to take a spin on the traditional fruit machine reels. This online slot game contains five reels and 100 paylines. The friendly joker from the opening of the game is also the wild and substitutes all symbols except for the scatter. A bright gold star marks the scatter symbol. Scatter wins are paid separately to bet lines. With a variety of possible combinations and features, this timeless fruit machine is complemented by clear instructions and a well-placed bet counter. This classic online fruit machine embodies the sentiment: if it isn’t broken, don’t fix it! Utilising the traditional symbols, set up and visuals that are easily recognisable in any casino, 100 Joker Staxx presents a very real and authentic slot gaming experience. As the product of successful developers Playson, this game is certain to attract the interest of new and experienced games who will appreciate the clean graphics and clear gameplay. Or you could try The Wiz!